Climate Common Sense: Catastrophists say World Vegetation Declining. 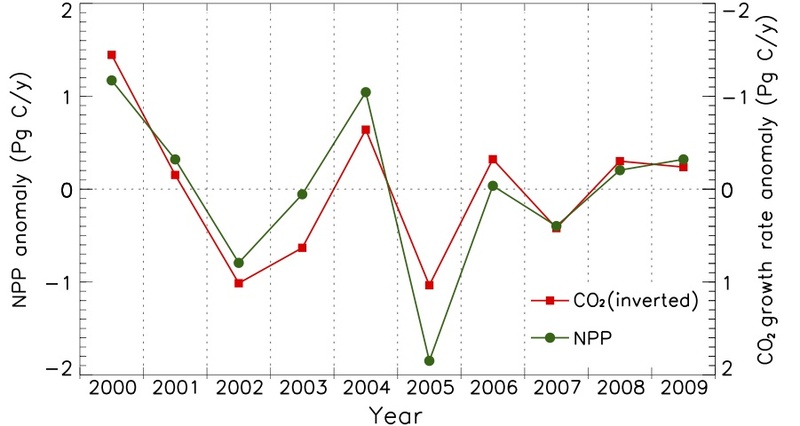 "Scientists" analysing data from the Terra satellite ,in a rush to blame CO2 for a planetary vegetation decline have ignored the most obvious reason for such a drop! These scientists have found that after a decade warming and increasing plant growth (6%) the last decade has indicated a slight drop in worldwide plant growth (1%) and therefore it must have been caused by global warming induced droughts . 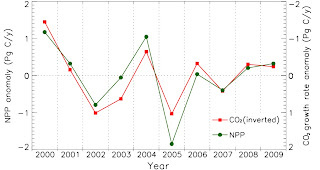 Of course I am happy to see that the results they have obtained correspond exactly with a slight cooling trend worldwide over the last decade which has been documented by skeptics time and again. This analysis suffers from the garbage-in garbage-out problem in attempting to correlate plant growth with a faulty temperature record. As a former nurseryman I know how sensitive plant growth is to temperature and the satellite results are no surprise and seem to be tracking the real temperature record .